He Who Strides the Planes, Binder of demons and devils, the Oath Maker, Master of the Arcane, the Blood God - these titles and more have been ascribed to Sarish, one of the more complex and intriguing deities of the Pantheon. Most look at Him with trepidation, for tales abound of His priests summoning infernals to do their dark biddings, but, when these same fiends appear, Sarishan priests are the first to be called upon to deal with the matter. Hated and loved in equal parts, some say the true nature of Sarish is unknowable, even by the other Gods. Yet despite the deep misgivings most of the populace have towards Him, those learned scholars who believe the End Times are drawing near console themselves with the hope that sly and cunning Sarish has some sort of plan to save all of existence from the Silent Dark which is coming. 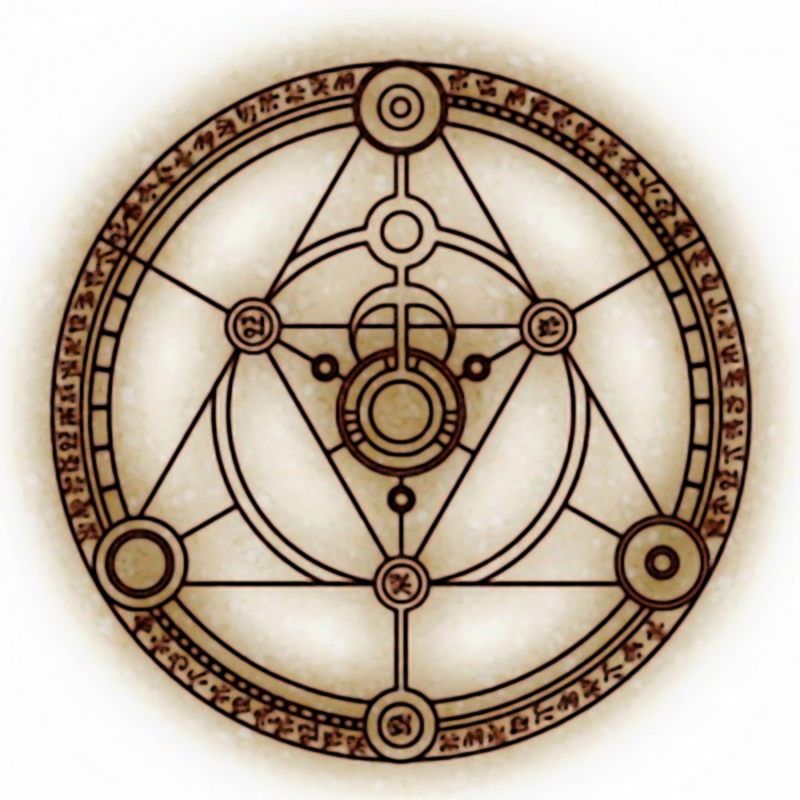 Holy Symbol: A disk inscribed with the sigil of Sarish. Position within the Pantheon: The Oath Maker. Son of Cadic and Larissa. Appearance: There are no records of Sarish himself ever appearing. Instead, His “representatives (demons and cats)” appear in His stead. Sarish is invoked daily by peoples of all nations and every walk of life. The phrase, “I swear by Sarish” is a common idiom heard daily. It is irrelevant whether one is an ardent worshipper of the Lord of Oaths. All know His role in the Pantheon and call upon Him to validate what one says or to bind two or more people in a contract. 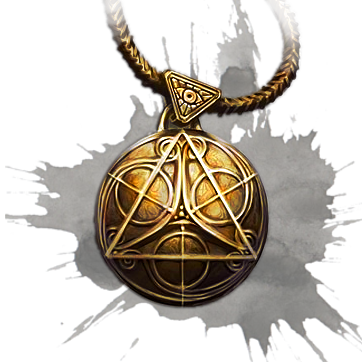 While only those oaths spoken before a priest of Sarish can invoke curses upon the breaking of such a contract, the common folk believe that Sarish hears each and every vow made in His name and will punish those who would break their word. The greatest concentration of followers to Sarish, besides in Canceri, can be found in the small nation of Eppion in the League of Princes and to a lesser extent in the city of Plexus, located in the south of the Coryani Empire. Sarishan temples tend to all follow a similar architectural style - a multi-storied building with four spires on each corner. These towers, as well as the ledges surrounding the upper floor of the main building are adorned with imposing stone gargoyles. These gargoyles are rumored to animate and defend the temple in times of crisis. To the normal eye the temple, while formidable, looks to have mundane defenses. Appearances can be deceiving. Any novice mage casting a simple spell of magic detection will likely be blinded by the sheer amount of power enwrapping the temple. Wards of incredible power are layered one atop another. Sigils and mighty offensive spells are laid upon strategic openings and points throughout the outer walls that await only a specific trigger to unleash a torrent of death and utter destruction. Few, if any temples of Sarish have fallen to an outer assault, and quite a few have utterly destroyed an army rash enough to try. The most well-known and, some say, glamorous duty known of the priesthood of Sarish is the defense of humanity from the slavering hordes of infernals lying in wait for the right moment to corrupt or devour the innocent. While the Sarishan clergy promotes this concept and even displays the odd rampaging demon as proof of their duty, an infernal horde the size that they claim hides in the shadows has not been seen in over a thousand years. It is a testament to the total horror perpetrated by these foul beings over a millennium ago that the mere thought that such an event could occur again keeps the coffers of the Sarishan temples overflowing. A more practical application of Sarish’s gifts is that of the Keeper of Oaths. While certainly not as glamorous as demon hunting, oaths witnessed and sanctified by Sarishan clerics are in great demand by merchants and moneylenders, as well as nobles wishing to ensure the fealty of their lesser or dangerous mercenaries. Besides adding to their overflowing coffers, this duty has a secondary benefit that some patrons do not realize – the sharing of secret pacts and deals with the Sarishans themselves. Sarish is the deity of secrets and forbidden lore. Their wealth of knowledge has increased exponentially by his priests witnessing such pacts. Some, while hardly valuable in important data are rife with embarrassing nuggets of scandalous gossip, which can be used by the Sarishans as leverage to secure more lucrative information. A less commonly known duty is that of safeguarding those that are arcanely gifted from danger and especially from the predations of the self-styled Sorcerer King of Ymandragore. As patron of mages and sorcerers, Sarish holds these people dear and as His chosen. This attitude runs in direct conflict with that of the Lord of Ymandragore, who believes that all who can bend magic to their whim are his subjects. This conflict of interests has led to Sarishans forming an unspoken alliance with the Sanctorum of the Arcane, an underground organization which helps train and shield mages from the Harvesters of Ymandragore.